It's been so much going on in America in the African American community it's so important for us to come together in love and support for one another. For the past year I've been in search of a good support group dedicated for our people for countless of reasons. You see Blogging groups for the latino community and they are so supportive of one another. You see it for the caucasian community and many more communities and I wondered was there one for the African American community and if there weren't one I would create one. Fortunately I found +Houston AA Bloggers from google. At the time I'm unsure if the site was up but it led me to the Facebook group and I seen a few of my fellow blogger friends on there. Since I've been in this group I've learned so much in the past 1-1/2 months I've been in there. I've dedicated my time to my business and they push me daily to do better. I understand my worth just as much now then I've did last year. I share things in the group and learn from them and vice versa. We all give something to the group and all benefit from the group. 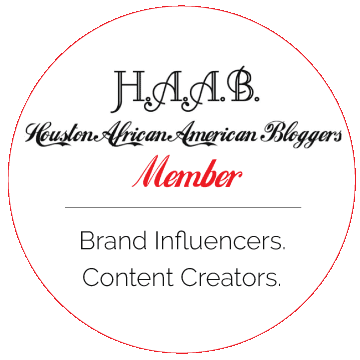 Being in a blogging group that doesn't only cater to the beauty and fashion industry I think has strengthened the quality of my content. This is why I am a part of the Houston African American group.